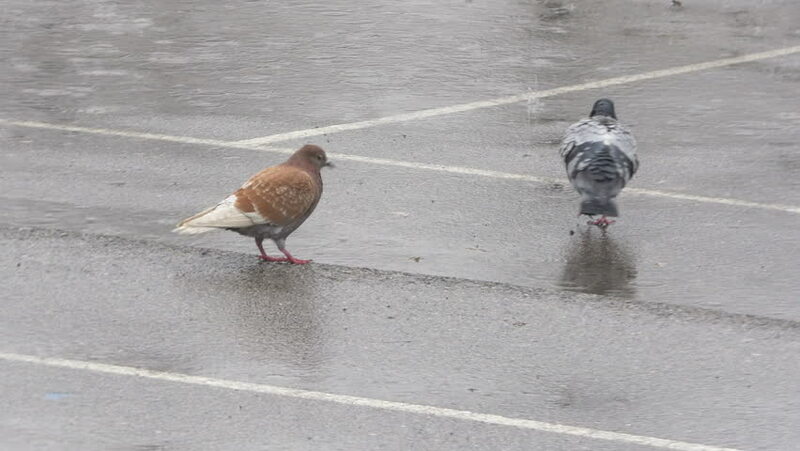 One brown and two gray pigeons walking, pecking and looking for food on rain. Pigeons bathing on rain. Birds cleansing feathers in puddles during rainstorm. Flock of pigeons on wet sport court. 4k00:32Flock of gray pigeons bathing on downpour and looking for food on rainstorm. Birds cleansing feathers in puddles during rainstorm. Flock of pigeons pecking crumbs on wet court Rainy day. 4k00:21Ducks On Frozen Water. Ducks Stand On Ice. Birds Swim In The Water. Search For Food. hd00:24Young tree in deep snow with traces of wild animals around him. Winter season. 4k00:13Aerial view an elderly woman engaged in Nordic walking with sticks in the winter forest. Healthy lifestyle concept. Mature woman resting after exercise outdoors.